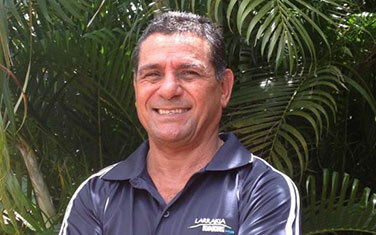 Mark, a proud Larrakia man, joined the LDC Board in 2010, was appointed Deputy Chair in 2011 and Chair in 2013. He has worked in numerous professional roles in the NT Government Department of Business, Economic and Regional Development, the AFLNT, YWCA and the Juvenile Justice Diversionary Program. Mark has a long history with Australian Rules Football including playing with Port Adelaide and Glenelg Football Clubs in the SANFL, and South Fremantle Football Club in the WAFL during the 1970’s/80’s. He has completed a Diploma of Business at Charles Darwin University (CDU) and is near completing a Bachelor of Commerce (CDU). Other professional appointments include Chairperson of the Northern Territory Indigenous Education Council, a role he held since its inception in 2007, Chairperson of MAJIMAP Choice Aboriginal Corporation from 2003 to 2009 and Deputy Chairperson of the Northern Territory Indigenous Affairs Advisory Council from 2009 to 2012.